THIS COMPETITION IS NOW CLOSED. I’M DELIGHTED TO ANNOUCE THE WINNER IS ERICA PRICE! CONGRATULATIONS ERICA, MISS KITTY WILL BE IN TOUCH TO ARRANGE DELIVERY OF YOUR LOVELY PRIZE! I’ve got the most lovely giveaway for you today: this vintage 60s gold star (or is it a starfish?) brooch. It would be the perfect addition to any coat or party dress this winter and has kindly been offered by The Best Vintage over on Etsy, who have the most amazing (and I mean amazing) range of quality vintage. Everything from designer 70s Marimekko, to unworn 1950s gloves and of course the most wonderful vintage jewellery. Textured vintage 1960s goldtone star brooch. In excellent condition. Measures 2 ¾” x 2 ¾” and is singed ‘BSK’. For your chance to win this lovely brooch simply pop over to the Best Vintage Clothing on Etsy then come back and tell me your favourite item (other than this lovely brooch) in the comment box below. Don’t forget to comment below letting me know how you’ve entered! It would be great if you could follow me on Facebook and Twitter too, oh and if you’re a vintage store or blog make sure you sign up to my Vintage Directory! We’ll pick a winner after entries close on Monday 1st December 2014. The winner will be announced on this blog soon afterwards so don’t forget to check back or subscribe! 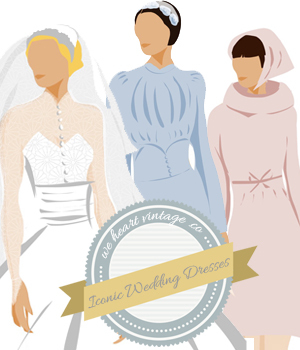 We will pass the details of the winner onto The Best Vintage Clothing to arrange delivery of the prize. The winner will be contacted about their prize, if they have not claimed their prize within 3 months of it being announced The Best Vintage Clothing are under no obligation to still offer the prize. Love the 1950s Black Lace Gown with Full skirt… gorgeous! love the bridesmaids dresses the colours are divine. liked and shared. Vintage 1930s Coat / Black Silk Velvet Evening Coat / Full Length Vintage Coat – glamorous but would still be warm and great to wear. I love the 1930’s Celluloid Brooch, it is so pretty! The jewellery is lovely, especially the 1950’s bird brooch. https://www.etsy.com/uk/listing/204034016/vintage-marimekko-vuokko-suomi-red-print?ref=shop_home_feat_3 I love this red vintage tent dress/jumper. I’m one of the most anti-smoking people I know, but just love the vintage 1920’s cigarette holder, probably because I have a photo of my grandmother from the 1940s looking all glam on a night out – complete with cigarette holder! https://www.etsy.com/ie/listing/211817365/vintage-1920s-cigarette-holder-black?ref=shop_home_active_14 I sooooo want one! I’ve favourited the Best Vintage Clothing on my Etsy account. 930s Wooden Purse / Vintage Beaded Bag / Multi Color Czech Bead Handbag. My fave is https://www.etsy.com/uk/listing/204034016/vintage-marimekko-vuokko-suomi-red-print?ref=shop_home_feat_3 – those sleeves are awesome! The antique wedding trosseau set is gorgeous. Fantastic tailored styling. This is so iconic. My favorite item is the 1950s Pearls / Vintage Pearl Necklace with Rhinestone Clasp / 50s White Imitation Faux Pearls. https://www.etsy.com/uk/listing/211962042/vintage-1950s-kelly-bag-vintage-black?ref=shop_home_active_9 – I love this handbag. on Etsy I have favourited we heart vintage, plus 3 products also tweeted and shared my favourite on Facebook. I love the vintage lucite handbag. I love the faux alligator black Kelly bag. wow fab bag- amazing shape – glamorous added with a pair of long gloves and pretty dress. I love the 60’s leaf brooch! Love the 1920’s greyhound brooch!